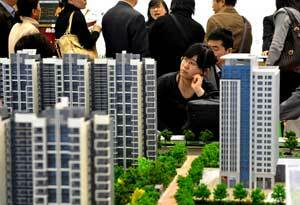 China's real estate sales are foreseen skidding by as much as 50 per cent from last month, as a result of new cooling measures announced by city and municipal governments in the last two weeks. Analysts predict this scenario after the announcement of the cities of Beijing, Chongqing, Shanghai, Hefei, Guangzhuo, Tianjin, and Shenzhen came out with new property cooling measures to meet the central government's deadline. Key cities of Shanghai, Beijing and Chongqing, which had drawn immigrants from other provinces and townships for work, had tougher property rules, according to Zhang Dawei, research director at property agent Centaline Property Agency's mainland division. In spite the existing property measures, there was a buying frenzy in March. In Beijing, sales of second-hand homes rose 332 % month-on-month selling 43,780 units more, 5i5j Real Estate said in a report. In 100 major Chinese cities, average home prices have risen 1.06% month-on- month in March, placing the growth for 10 consecutive months data from the China Index Academy said had indicated. Real estate agents said home prices are seen stabilising in a month or so with the detailed measures put in place. -- Beijing and Shanghai to impose a 20% capital gains tax on second-hand homes.